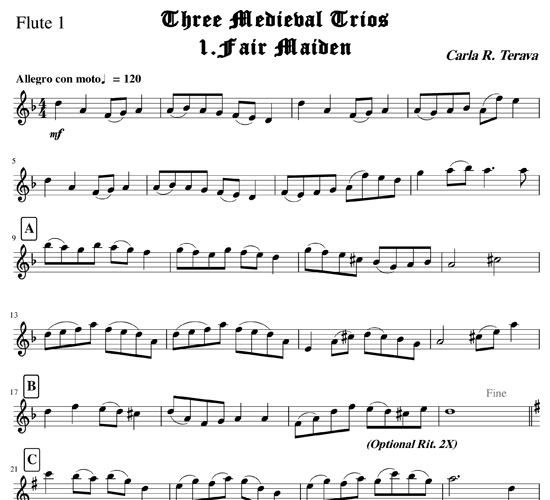 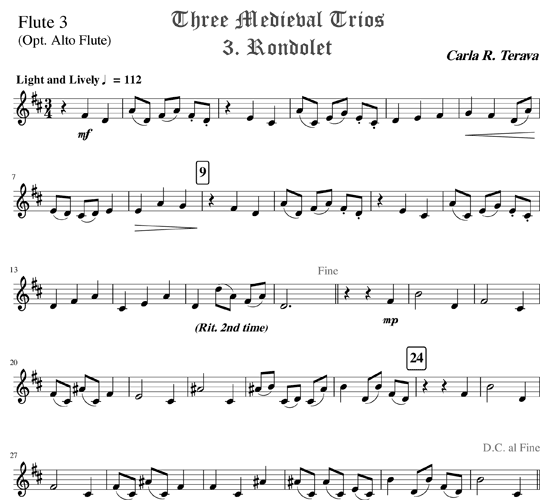 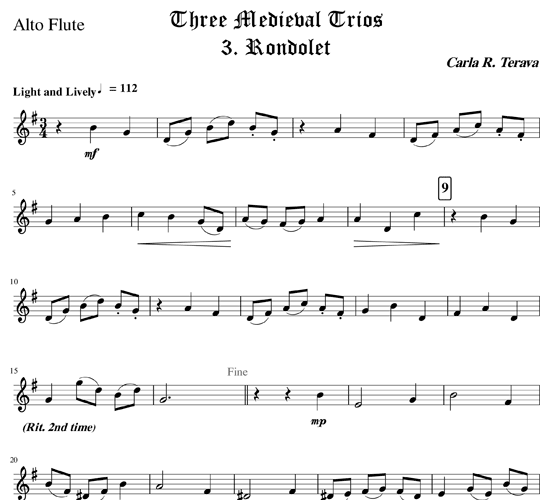 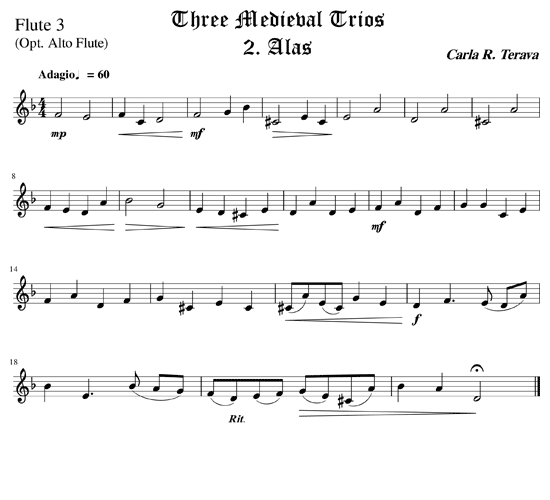 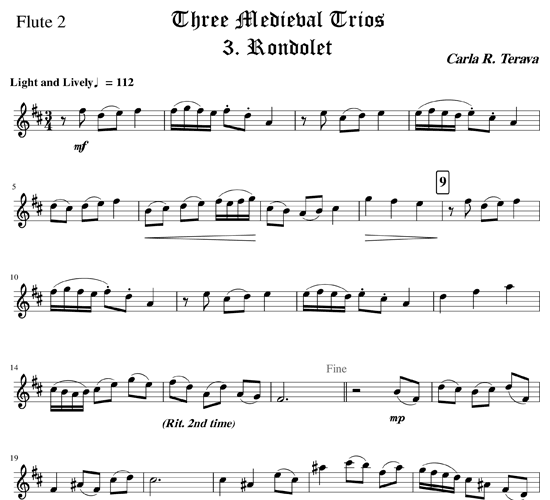 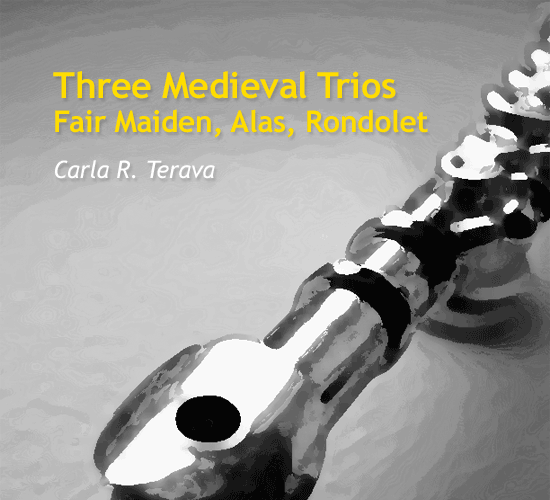 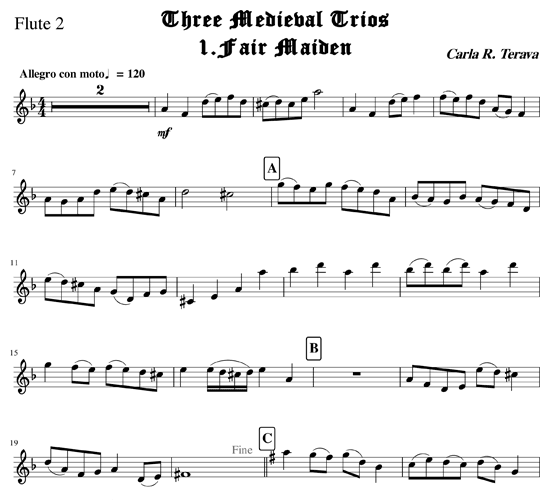 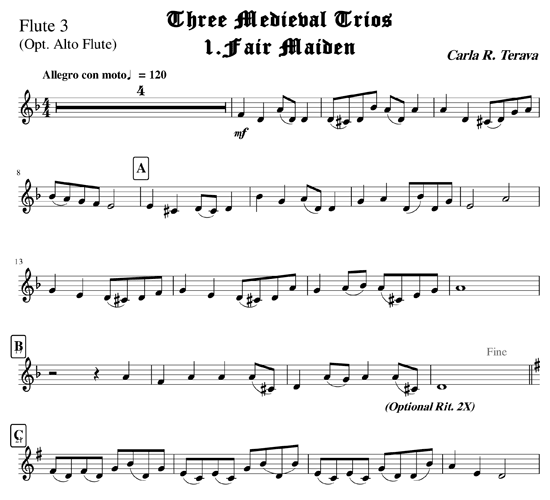 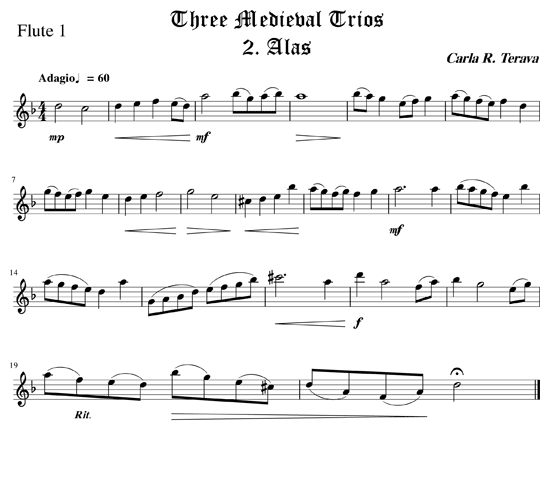 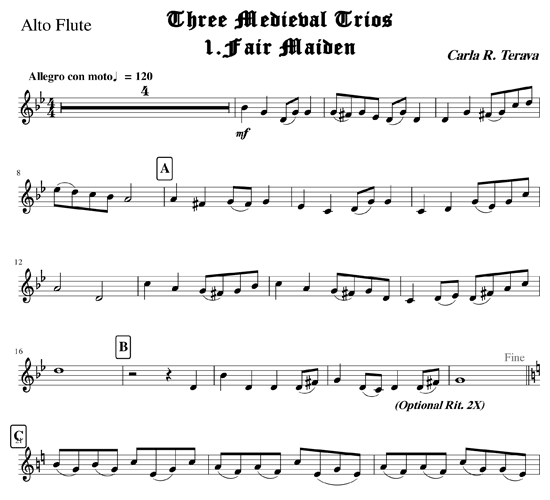 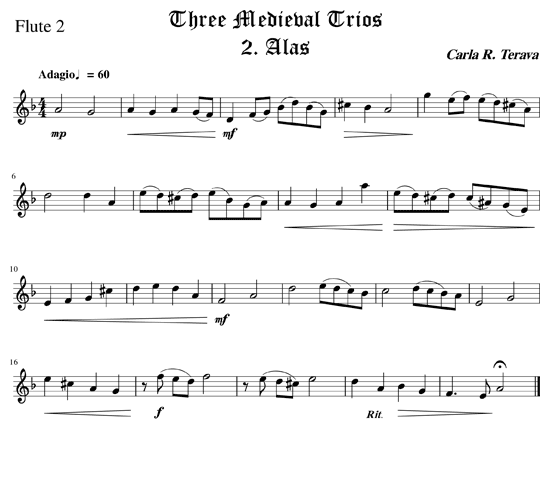 “Three Medieval Trios” are original pieces written in medieval style. 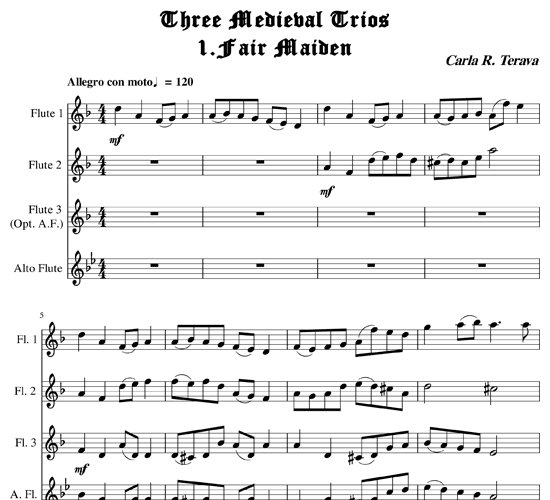 The 1st movement, “Fair Maiden,” portrays the apprehension a young princess has before introductions are made in the King’s court. 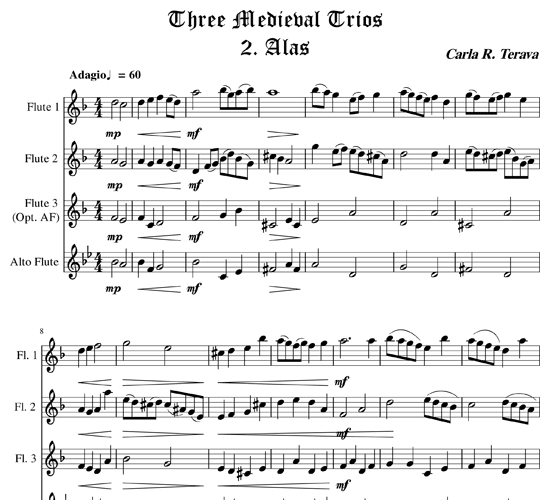 Her youthful immaturity sways between shyness and exuberance. 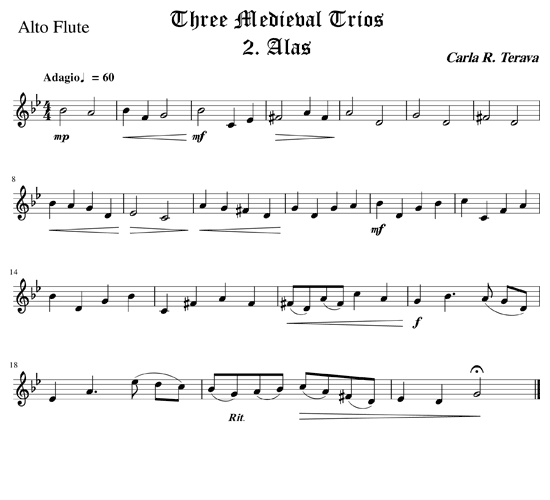 The 2nd movement, “Alas,” depicts the dark moods that were often prevalent during struggles in medieval times. 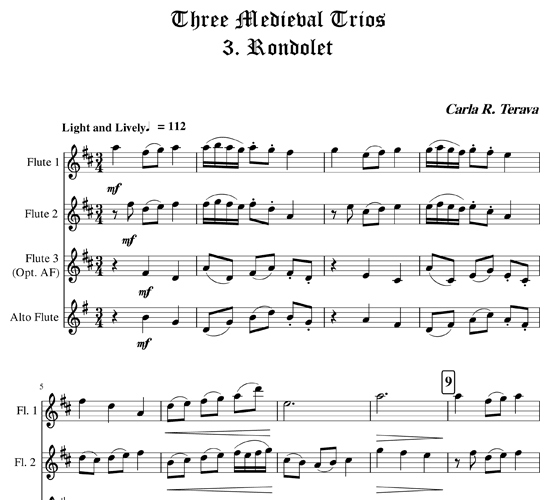 “Rondolet,” the 3rd movement, is a dance-like piece that explores the light-hearted nature of medieval social festivities. 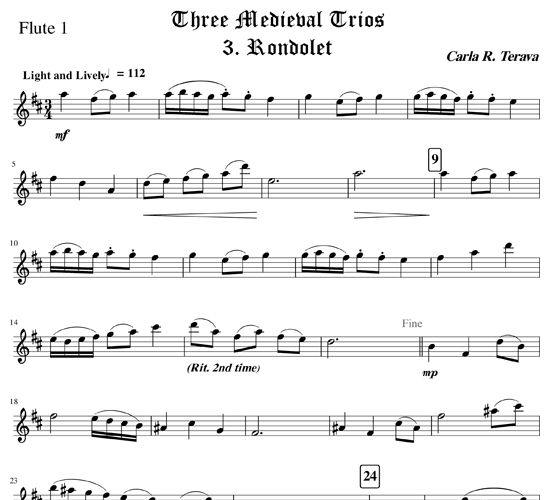 These intermediate level pieces are sure to delight your audience.